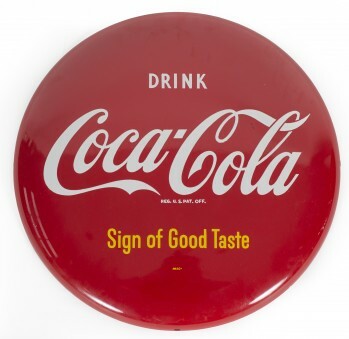 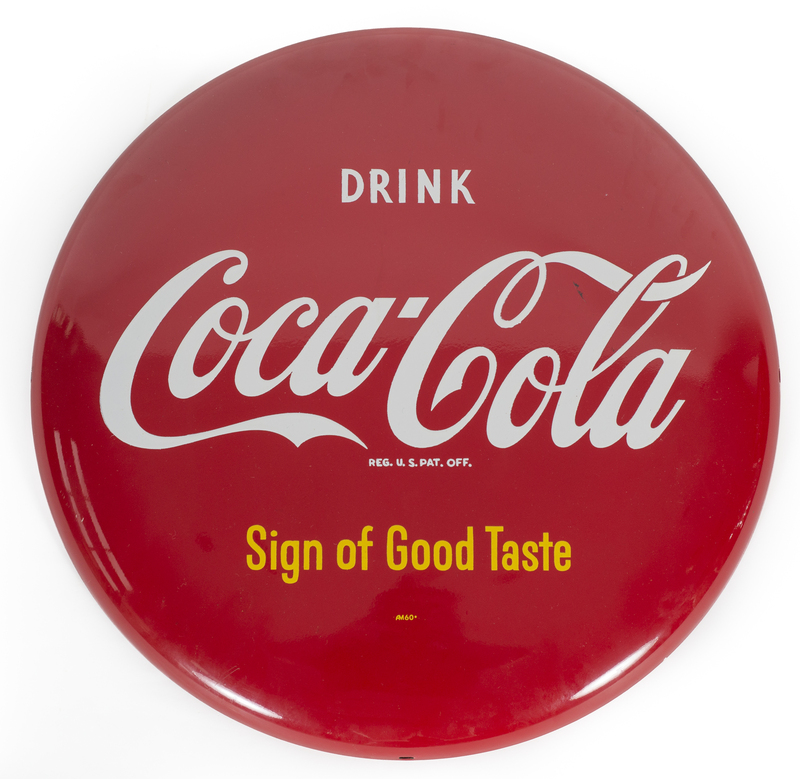 Two piece Single Sided Tin Coca-Cola Sign with 16" dia. 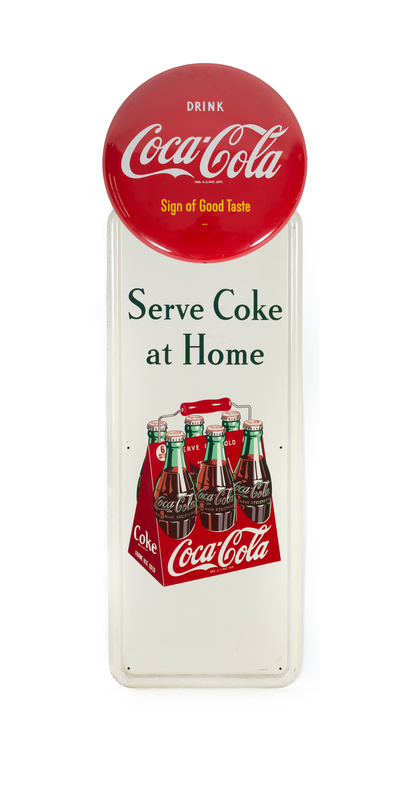 button sign that mounts atop the 16" x 41" rectangular sign. 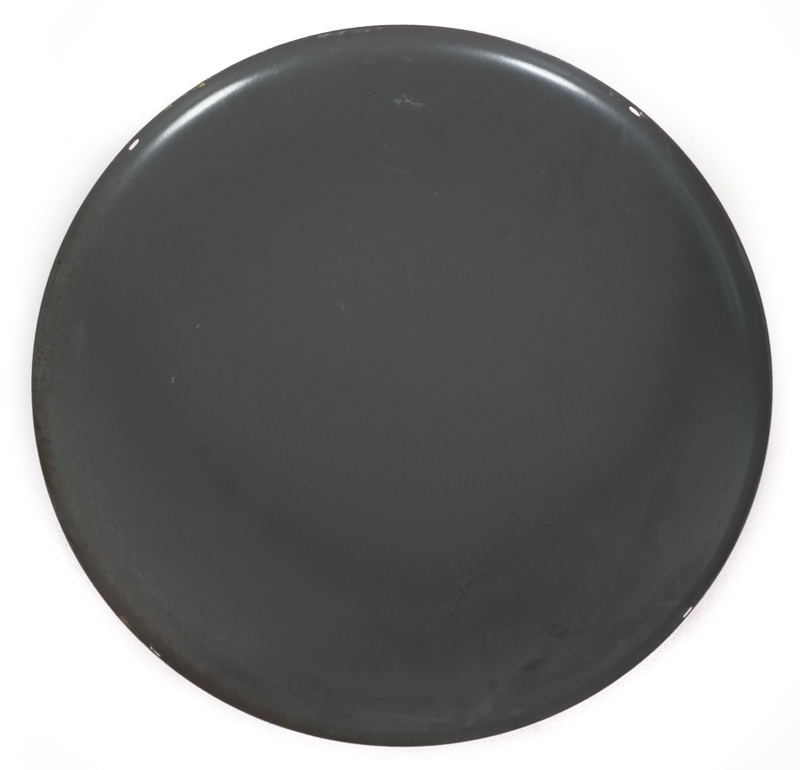 Button is marked AM-60.